Please scroll down to see all three books. I used the Blurb.com online publishing service, and each book has been a very gratifying experience, giving me the opportunity to use my own creativity, or, as in the case of My Mother’s Garden, the creativity and talent of Grace Tharp, my mother-in-law, and my wife Katie. Click HERE to visit the website for all three books, or click on the image of each book for an electronic preview of the book. A day-by-day account of a most incredible adventure. Six friends, calling themselves “The Six Pack” set off from Kathmandu to trek to Everest Base Camp and back. This is the story of the dangers, and the extreme difficulty of this journey. 100 pages filled with 158 full-color photographs and a narration which takes you there – and back. 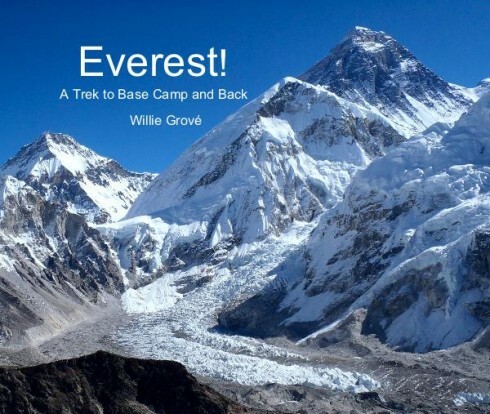 Profits from the sale of the book will go to the Maya Sherpa Project a non-profit organization that is dedicated to supporting the Sherpa people in the Solukhumbu region of Nepal. All proceeds from donations go to the actual material and local labor for the various projects; no moneys are distributed to any of the officers or others who help or travel with the organization, or for any other uses. You can donate to the Maya Sherpa Project online by sending funds to their PayPal account from your credit card, debit card or PayPal account. If you do make a donation, please send us an email at ntainfo@me.com, to allow us to monitor the contributions and the use of the donations. The Maya Sherpa project is a 501c3 public charity and, as such, all contributions are tax deductible to the fullest extent of the law. Above is the dust cover of my coffee table book Katie and I made for Grace in 2008. Click on the image to visit the publisher’s site where a preview of the book available. 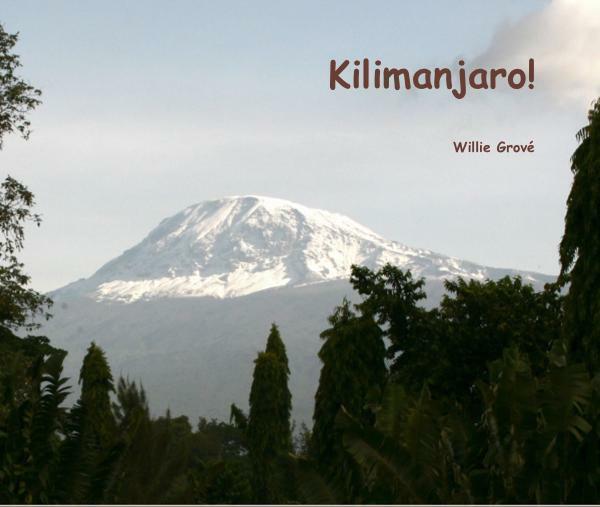 Above is the dust cover of my coffee table book on the Kilimanjaro adventure. Click on the image to visit the publisher’s site where a preview of the book available. This was a pinnacle adventure in my life – a profound experience. After seven days of incredible beauty, breathtaking vistas, almost impossible hiking and climbing through five different climatic zones, I was standing on top of the highest peak in Africa, the largest free-standing mountain in the world. It gave me an unimaginable feeling of awe and accomplishment. It will take me a long time to come down from this mountaintop! This adventure has been chronicled in a coffee-table book entitled Kilimanjaro! available online. Karen and I both read your manuscript about the trip to the top of Africa. Your colorful descriptions of your fantastic trip were interesting! What an incredible journey . . . We found what we would have thought virtually impossible: your writing conveys even more enthusiasm than your persona. As hikers who love the mountains, wilderness and wildlife, we shared and enjoyed your trip. Your photographs were outstanding and helped greatly to convey your vision of the trip. It truly was a trip of a lifetime, although we would guess that you are likely to do more of those. Your love of Africa comes though in your writing even more clearly than it does in your office! Thanks very much for sharing with us.